Tuesday Treat-Drawn by the Dreamcatcher by Haley Whitehall. Today I have a fabulous treat for you from the sparkling new book by the very talented historical author Haley Whitehall. Do enjoy this gorgeous snippet where Zachary learns to dance. Zachariah, a mulatto slave, doesn’t find much reason to be happy after being sold away from his mother and sister. However, he keeps having dreams of a beautiful woman with amber skin and this gives him some measure of joy. On a cold winter’s day, he is shocked to meet his fantasy woman in the flesh. Drawn to her, he feels compelled to help her the only way he can—by giving her his warm coat. Lillian Hildebrand is a member of the Cherokee elite, but she doesn’t feel like a socialite on the Trail of Tears. After meeting the charming and kind-hearted white one held in chains, she begins having reoccurring dreams of him. As if cast into her dream catcher, Zachariah fills her dreams from that day forward. Since he continues to call to her in her dreams four years later, Lillian is convinced the ancestors have deemed they meet again. With the help of her wealthy white brother-in-law, she tracks Zachariah to the Kentucky restaurant he helps manage. Her plans for the future run deeper than Zachariah ever imagined. Will her attempt to help him pass as white and start life anew with her on the Indian reservation pay off, or spell disaster for them both? Lillian placed the palm of her right hand in the palm of his left and stretched out his arm. Then she guided his right hand to her waist and placed her left hand on his right shoulder. The heat of his body, his tentative touch drew her in. She wanted a deeper connection, a different kind of dance. Zachary stiffened, stared at her, fear in his eyes. The music started again. Zachary tried to remember the steps and in what order to do them. Lillian tried not to laugh while he muddled through, but failed. He bit his lip and on the third song, finally got the hang of it. Haley Whitehall lives in Washington State where she enjoys all four seasons and the surrounding wildlife. 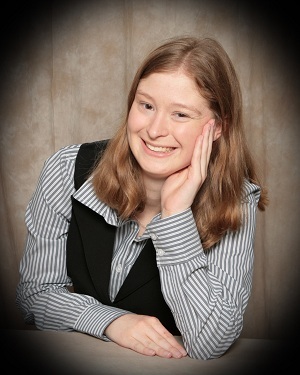 She writes historical romance set in the 19th century U.S. When she is not researching or writing, she plays with her cats, watches the Western and History Channels, and goes antiquing. She is hoping to build a time machine so she can go in search of her prince charming. A good book, a cup of coffee, and a view of the mountains make her happy. This entry was posted in Historical, romance writers and tagged 19th century romance, historical. Bookmark the permalink. ← It’s odd how things can change perception. Haley, I am always impressed whenever I see one of your excerpts. This is no exception. Sounds like a wonderful read!